If your dog or cat is scratching their ears, you are probably wondering if they have ear mites. In this article I will explain what ear mites are, and how you can diagnose infection in your dog or cat. 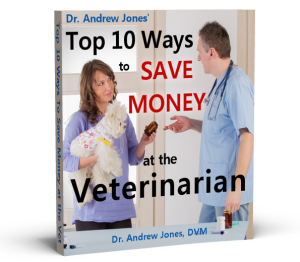 You will learn about the mite life cycle, how the mites spread, and the most effective holistic remedies to treat your pet’s ear mite infection at home. Ear mites are known as Otodectes cynotis, and they are a relatively common parasite of dogs and cats. Most pets with infected ears do not have mites, so it is important to properly diagnose them before you begin to treat your pet; you don’t want to be using ineffective remedies for the wrong condition. Symptoms of ear mites include itching, head shaking, scratching of the ears, but differing from other ear conditions, ear mites produce thick black debris. Most ear mite infections occur in cats. The entire life cycle of ear mites is within the ear canal; they do not burrow into the ear but stay on the surface. The life cycle of a mite is approximately 3 weeks; the female mites can lay more eggs after 3 weeks to continue the cycle. The mites are very contagious and easily spread from animal to animal through direct contact. The easiest treatment is to visit your veterinarian and get a topical conventional anti-parasitic medication. I have found Revolution (Selamectin) to be very effective; it is applied topically between the shoulder blades, and lasts for one month. Other conventional medications that work include Acarexx, (topical ivermectin), and Milbemite, (topical milbemycin oxime). Clean your pet’s ears with healing oils. I advise to start with this if the ears are especially painful. A simple recipe is 1 tablespoon of Olive Oil combined with 1 capsule of Vitamin E. Place this into the ear, leave it to soak for 5 minutes, then firmly rub the bottom of the ear and remove the debris with a cotton swab. Another cleaning option is to use vinegar, but avoid this if the ears are very red and open wounds are present. You can dilute with water in mixture of 50:50, and squirt approximately 1 teaspoon into each ear. Put your hand around the base of the ear, and while holding your forefinger and thumb together, deeply massage the solution into the ears. After performing this, wipe out the excess solution, and black debris with cotton swabs. You can do this daily for 7 days, stop for 7 days, then again repeat. Garlic and Olive oil in combination have been used to treat ear mites. Soak a crushed clove overnight in warm olive oil. Throw away the garlic clove and warm up the oil. Obtain a syringe or dropper, place 5 drops into the ears once every day for 21 days. Soothing herbs that can also treat ear mites include Aloe and Calendula essential oils. These can be purchased at your local Natural Health store or pharmacy. Place in the ear, and wipe out the black debris. These can be placed in the affected ears once daily for 21 days. Ear mites are the most common parasitic ear infection in dogs and cats, but they are often mistaken for bacterial and yeast ear infections. It is important that they are properly diagnosed so that your pet is given the appropriate treatment. 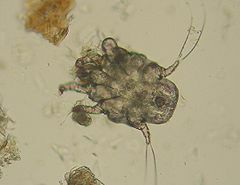 You can now better diagnose if your pet has ear mites, and have an understanding of the mite life cycle. There are a number of both conventional and holistic remedies for ear mite treatment in dogs and cats, and you can now choose what is most appropriate for your pet. could you please discuss info regarding a nursing minipin mom who does not have enough milk for her 4 puppies. Can I give the puppies a full lcream milk powder used for human babies? I bought Milkodog but the puppies doesnt want them. When we had a new mother killed by a rattler, we hand fed her 10 new puppies calf starter. Then we found good homes for all 10 healthy puppies. It is available in ranch supply stores. Hi, we live in South Carolina (USA) and every summer my cat scratches her ears to blood. My guess is that she is that she gets mosquito bites then scratches them because they are itchy. I am saying that because she loves warm weather and when it gets hot, she spends all day long outside. Did you hear about anything like that? My cat has ear mites and i read somewhere that coconut oil helps and i started using it, seems to be helping so far.